This weekend The Mini-Works will celebrate it's very first birthday. One year ago we were putting the finishing touches to the building and wondering just how this expansion would work out? A lot of work went into the design and build of the Mini-Works and you can see some of this in the photos below. You can also see a lot more in this Picasa album showing the Mini-Works in its various stages of build. The answer (thankfully) to how it would be received has been a resounding positive and the Mini-Works has been a great addition to The Climbing Works. 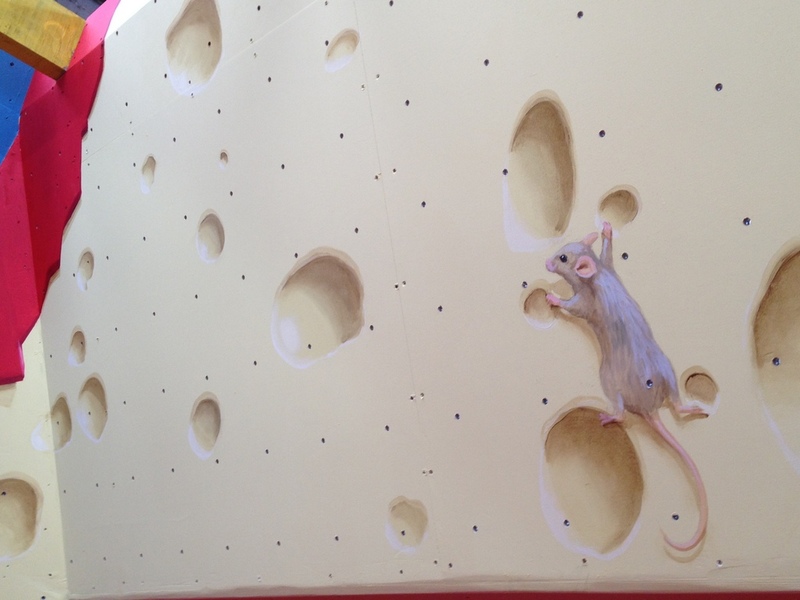 It has especially been a great hit with the younger climbers in the city with kids especially enjoying the centre. We always wanted it to be child & family friendly and it has been great to see children really get into the sport - maybe a future star has started already on their path to glory? The Mini-Works is also a lot more than just a kids climbing centre and it has been great to see climbers of all ages use the centre. For those who haven't checked it out recently there are problems up to 7b+ in here (20 problem Murple circuit) as well as extensions of the Green Spots, Pinkles, Blacks & Yellow circuits. So if you think you've ticked all the problems in a circuit without visiting the Mini-Works...think again. 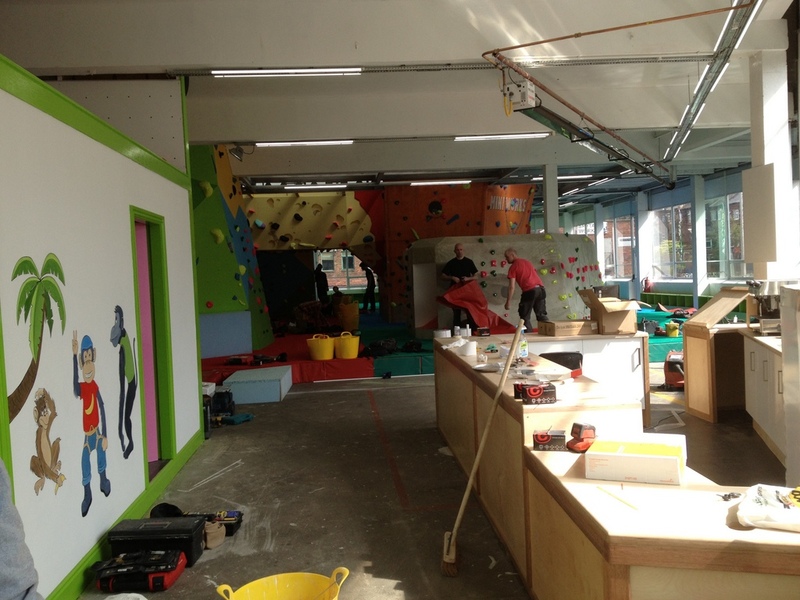 We won't be doing a party for the Mini-Works, we'll just continue to create a great space for climbers of all ages. We hope you continue to enjoy it. Take a tour of the inside of the Mini-Works with the below Google map.